The 2018 cycle is rightfully being billed as another Year of the Woman – with record numbers filing candidacy papers and winning nominations for state and federal elected offices. Back in March, Smart Politics wrote about how as many as six states could see both major parties field women nominees in this November’s U.S. Senate races. After Arizona’s primary on Tuesday, that number has now been reached – shattering the previous record of three set in 2012 (Dianne Feinstein vs Elizabeth Emken in California, Mazie Hirono vs. Linda Lingle in Hawaii, and Kirsten Gillibrand vs. Wendy Long in New York). One other state could still be added to that list in 2018 as Massachusetts Republican Beth Lindstrom – a former state GOP executive director and Director of Consumer Affairs and Business Regulation under Governor Mitt Romney – is locked in a three-way race to take on first-term U.S. Senator Elizabeth Warren. The primary will be held on September 4th. Prior to 2018, there had been just 16 U.S. Senate elections between women nominees out of approximately 1,000 elections since the first such contest was held in Maine in 1960 between GOP U.S. Senator Margaret Chase Smith and Democratic state legislator Lucia Cormier. In addition to this record-breaking number of matchups, six other women U.S. Senators will be on the ballot (Democrats Dianne Feinstein of California, Mazie Hirono of Hawaii, Debbie Stabenow of Michigan, Amy Klobuchar of Minnesota, Claire McCaskill of Missouri, and Heidi Heitkamp of North Dakota) plus three other women nominees (Nevada Democrat Jacky Rosen, Tennessee Republican Marsha Blackburn, and Utah Democrat Jenny Wilson). However, despite these numbers, it remains a big question mark as to whether there will be more women in the senate next January than there are today. In fact, there could certainly be fewer. So how many women will be seated in the chamber during the 116th Congress after all the votes are counted this autumn? Of the 23 women currently serving in the U.S. Senate, 10 are not up for reelection in 2018: Republicans Lisa Murkowski of Alaska, Joni Ernst of Iowa, Susan Collins of Maine, and Shelly Moore Capito of West Virginia and Democrats Kamala Harris of California, Tammy Duckworth of Illinois, Catherine Cortez Masto of Nevada, Jeanne Shaheen and Maggie Hassan of New Hampshire, and Patty Murray of Washington. Of the 13 women who are on the ballot, eight represent safe seats and can be expected to remain in office come January: Feinstein (CA), Hirono (HI), Warren (MA), Stabenow (MI), Klobuchar (MN), Fischer (NE), Gillibrand (NY), and Cantwell (WA). Among the five remaining vulnerable incumbents, two face women challengers – Smith (MN) and Baldwin (WI) – so a woman is assured to be victorious in those seats. 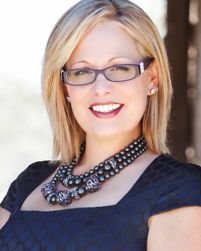 That makes 20 and the Arizona matchup between Sinema and McSally guarantees a 21st seat. Mississippi (special): In a race that is unlikely to produce a majority winner in November, appointed Republican Senator Cindy Hyde-Smith must first land in the top two slots to make it to the subsequent runoff. Former Democratic congressman and Agriculture Secretary Mike Espy and state senator Chris McDaniel are also vying for those two spots. If four of the five aforementioned women nominees lose, there will be a decrease in the number of women senators in 2019. If they all win, there will be 26. The most likely scenario is that two or three will be victorious, leaving the number of women in the chamber remaining at 23 or barely setting a new record at 24, so Smart Politics is currently setting the over/under at 23.5 seats. It should be noted that among the 23 matchups between women nominees over the last 58 years, all but five have included an incumbent on the ballot (78.3 percent). It remains fairly rare for two women to be nominated in an open seat race, as was the case in Arizona this cycle. That feat also occurred in 1986 (Barbara Mikulski vs. Linda Chavez in Maryland), 2012 (Hirono vs. Lingle in Hawaii), 2014 (Shelley Moore Capito vs. Natalie Tennant in West Virginia), and 2016 (Kamala Harris vs. Loretta Sanchez in California – who, both Democrats, were technically not nominated). 1 Comment on "Will the 116th Congress Have Fewer Women US Senators?" 1. With both Blackburn and her in-state colleague Diane Black departing the House at the end of the 115th, the likelihood that there is no self-describing female “congressman” in the chamber at the beginning of the 116th seems quite high (see the 13 of June 2013 piece entitled “Meet the Three…’Congressman'”). 2. The overall number would not move downward, even if ALL “five other” nominees lose, were a woman to be appointed by AZ Governor Douglas Anthony Ducey to fill the state’s Class 3 seat (Cindy Hensley, of Hensley & Co., for example).